Sometimes coming up with your own handmade gift ideas can be challenging. Even with all of the idea sources we have at our finger tips, it's hard to know which ones to trust will be easy to make and turn out well. In my blogs, I share not only my own tried and true gift ideas but ones I know are easy to make and well-received so join me to get started on making your gifts special. We grew up making handmade gifts for each other. Half of the fun of making handmade gifts is the planning, plotting, hiding, giggling - all of the energy that goes into the process. Sometimes a handmade gift is the only way someone will get an item that comes with built-in memories. It can be as simple as making something in a person's favorite color to including their photo, or name. There is something very considerate about making a gift especially for someone. You will find more handmade gift ideas and meet some of our wonderful customers at my blog Made Just for U. We also grew up cooking together. Part of it was being frugal; the other part was having fun doing something together. Sometimes we could claim it was a meal. Other times, it was either a disaster waiting to happen, or a life experience we would never forget. Today I still enjoy cooking only now I am more focused on healthy eating. What better gift to give loved ones than a delicious, healthy meal. You will find notes on my culinary adventures, including recipes and kitchen gift ideas, at my recipe diary - A Teaspoon. It's hard to enjoy cooking and not have a special connection with a garden. My one-acre, chemical-free wildlife garden on a Missouri limestone hill includes several raised beds for vegetables and herbs. Scattered throughout my garden are compact dwarf fruit trees and bushes keeping my edible flowers company. As a certified master gardener, I focus on ways to garden that are easy and kind to the environment. I find a number of gift ideas in my garden, as well as inspiration for our custom quilts and other gifts. Join me at my blog Gardening Charlotte to pick up gardening tips and garden gift ideas. THE STAR OF HOME SWEET BEES, A WORKER BEE! Part of my gardening adventures have included adding honeybees to my wildlife garden. Bees pollinate one out of every three bites of food we eat, not to mention what their matchmaking services do for a garden's overall ecosystem health. 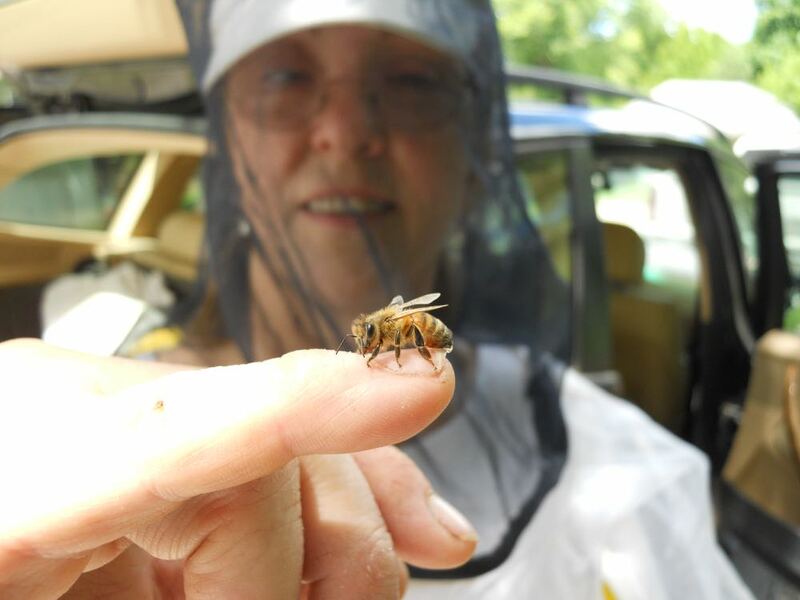 Being a beekeeper is fascinating, challenging and constantly evolving. I learn so much being on the Missouri State Beekeepers Association board as well as through lectures, teaching beekeeping classes and hosting a local bee club. My honeybees are happy enough to make extra honey, which I'm also glad to share. You can learn more about beekeeping and honey at my blog - Home Sweet Bees. In a rush to make something quick for a handmade gift? If you don't know at all what to make or give, here are some more gift ideas. Short of time? Think framed photos. Select photos that are action-oriented, capturing someone doing something special, or in an unposed moment. Shop for a variety of different frames in the same color scheme or paint frames in the same color. Add photos and don't forget a caption on the back including date and location of the event. Sign your name to it, your signature will help make the gift special and unique.